Massacre chess is a variation on the game of chess invented by Andy Lewicki. 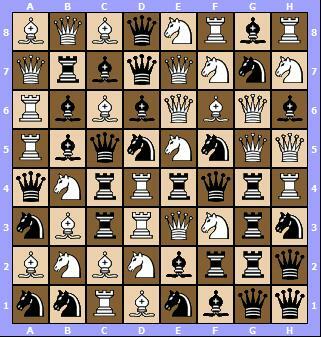 In this version, each player plays with 8 queens, 8 rooks, 8 bishops and 8 knights. All pieces are placed randomly on the board, filling up every space. The image hereunder show a start position. The players take turns moving their pieces according to their standard chess movements BUT they must capture a piece every turn. The game ends when a player cannot make move any more (no possible capture) or when a player has lost all his pieces. In both case, tis player loses the game. 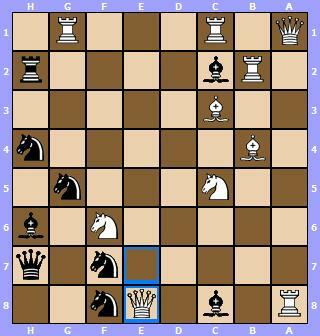 The image hereunder shows white winning move Dxe8. indeed, after thta move, black cannot make any capture any more and loses the game.